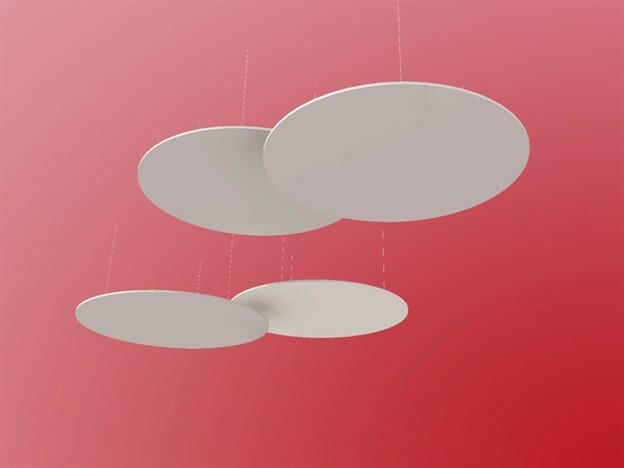 The Karima is a versatile flat round panel that can hang horizontally or vertically. It provides a highly visible area for graphics or projection. We can also form make this using an acoustic fabric to form clouds of acoustic absorbance.